Just won high bidder on this beauty and look forward to receiving it. Something about it spoke to me. Any thoughts about the motif? I am at a loss and I'm sure that one of you experts will know! Still a tsuba newbie so no idea but LOVE the interlocking design and theme! To be honest Jeremiah, I am mostly a blade guy. I have lots of fittings and mounts, but mostly just buy things that I really like and don't worry so much about schools and makers. With swords I am VERY specific (as you know) and have all available info at the ready. 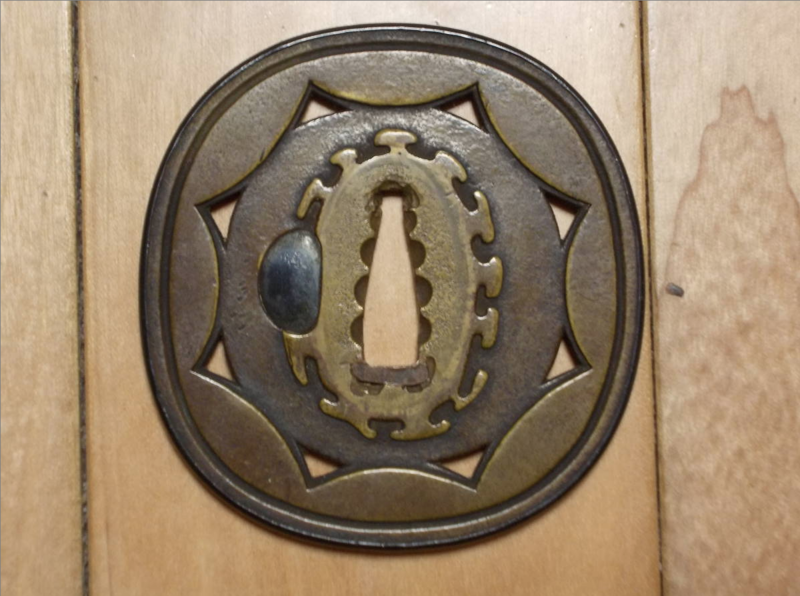 Tsuba are a mystery to me. Just really like this piece. Robert- I've been behaving recently, but came very close to bidding on that one in the last 30 minutes. 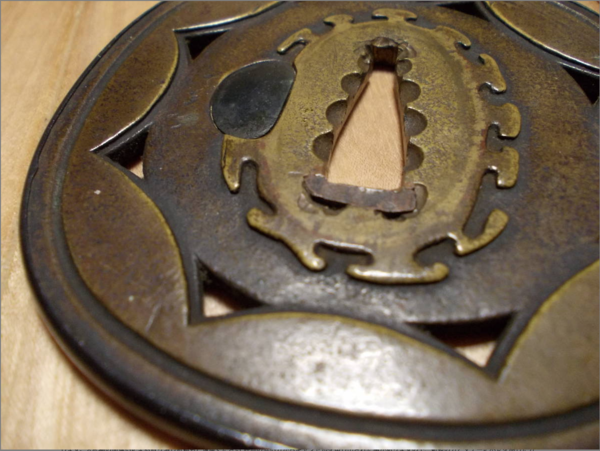 Really like this tsuba but if it were mine I would resist the urge to clean it at all. Interested to see what others say. I'm with Geraint. Maybe soapy wather and a soft toothbrush if there's any gunk, but I wouldn't go any further than that. But I frankly don't see any reason to "clean" this tsuba judging from the pics. 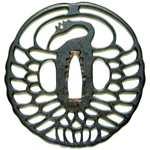 I wish I could tell you more about the design or about Akita shoami, but I cannot. Grev's suggestions might be on point. It is one of those small schools I always tell myself I will eventually read up on, even if the only stuff I can find is in Japanese and I need translate it with some help. Through years of pattern recognition, I have a good feel for what the NBTHK calls Akita Shoami. As the other guys said, I wouldn't dare clean that one with anything more than soap n water. 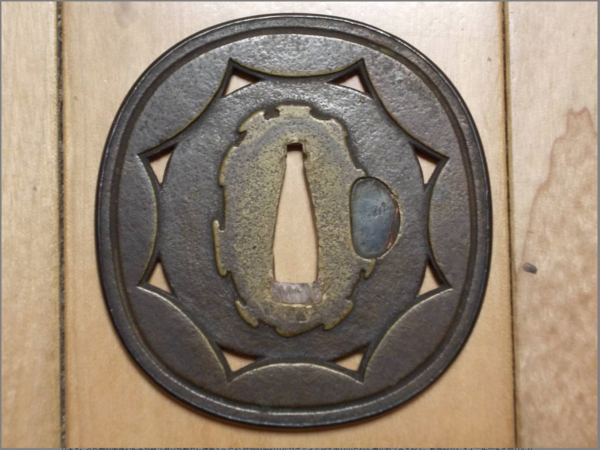 One of the appeal of Akita Shoami to me is they often seem to have a full healthyness to their contours that takes on aged patina beautifully. Get a good box for it, or have one made for it. Thanks Grev and Curran. I do love the design and will have to think about the cloud concept. 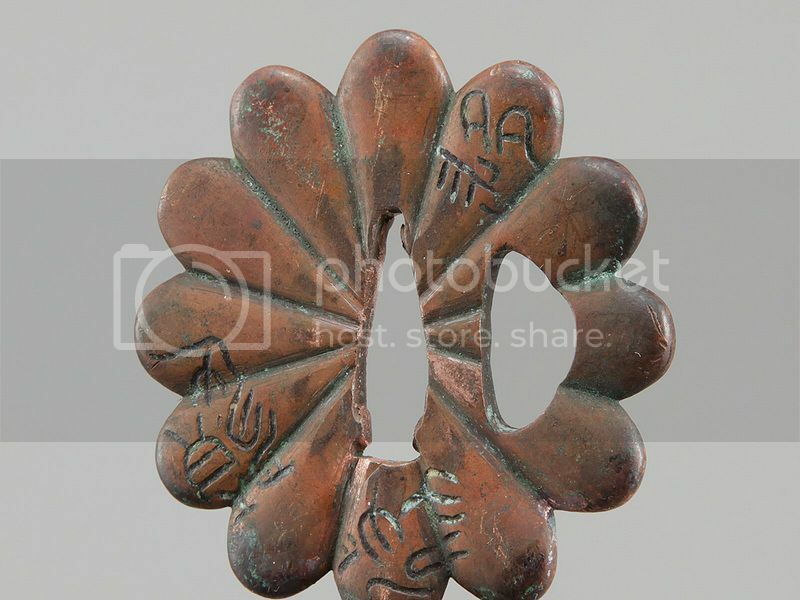 I am used to the classic swirling Japanese cloud motifs. I do also really like the non uniformity of those edge variations. I will just use some mild soap and a toothbrush, depending on what it looks like when I have it in hand. First, great tsuba with an attractive patina....something best not fiddled with. NEVER use a tooth brush on anything but undecorated iron, any tiny particles of grit can easily damage soft metal surfaces. I suggest a variety of natural hair and fine bristle artists brushes, there shape is best dictated by application. Use a light hand, mild vegetable soap and dry VERY well before finishing with a light application of wax. BTW, I always cover any metal brush ferrule with smooth surfaced electrical tape....better safe than sorry. Thanks Mauro. 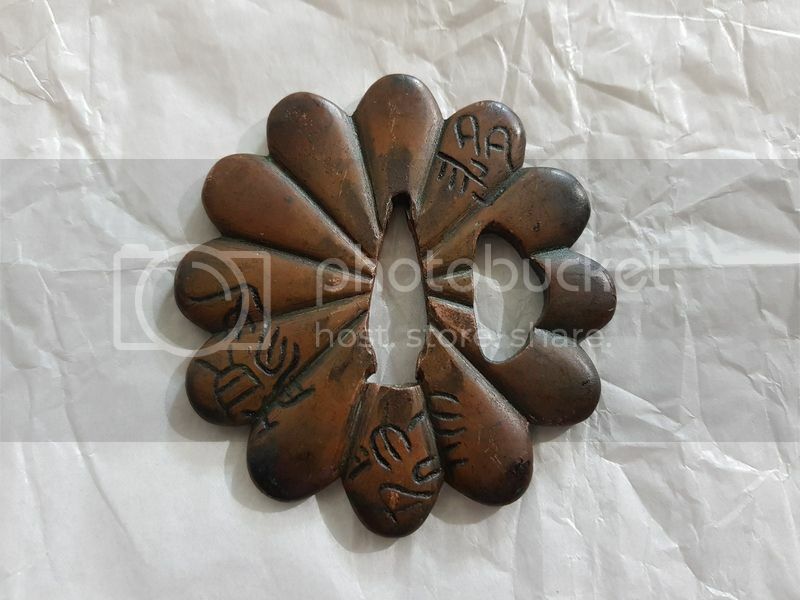 That is the only photo that I have - it came with the listing. Curran is right, the papers say Akita Shoami. Steven, thanks for the tips. Please let me know how you apply a light coating of wax and what you use. Choose a firm (not stiff) round short natural bristle brush 1/2 to 3/4" in diameter by approx. 3/4" in length. I find applying the wax to the brush works best, just lightly load the tips of the bristles....repeat as necessary. 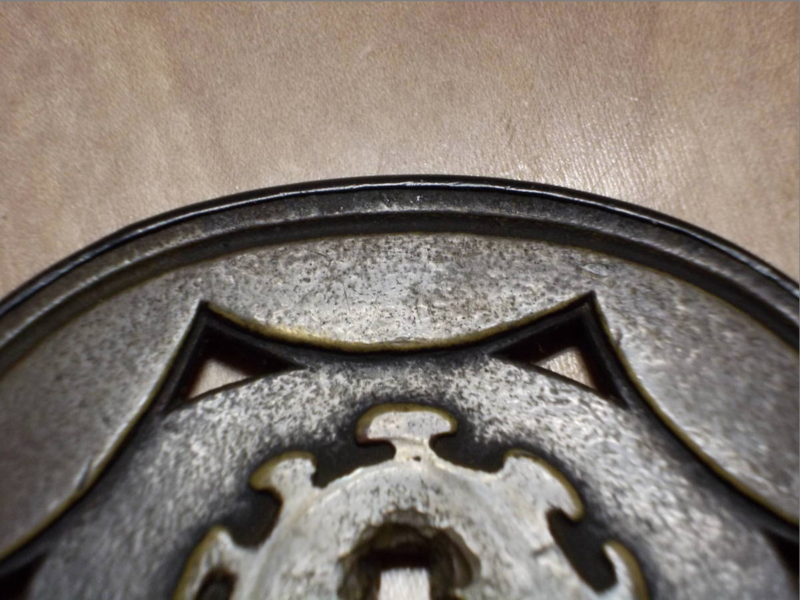 A little wax goes a long way, finish by lightly buffing with a clean brush to finish. If you are working in a cool area, gently warming (a hair dryer will do) will produce better results. Either 'Renaissance Wax' or 'Museum Wax', both readily available, will do a good job. Do you do this with both soft metal and iron Steven? In the case of iron, do you do this after removing rust with ivory or horn? 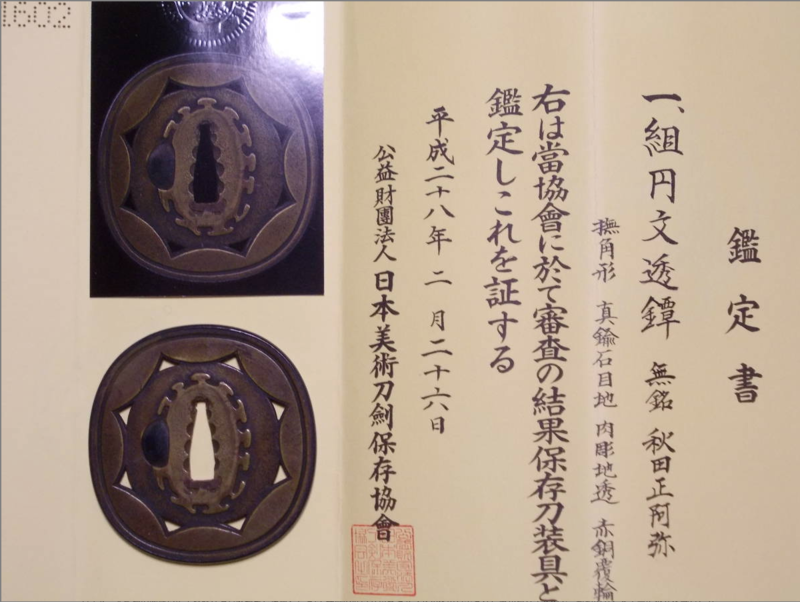 May I ask again why this tsuba needs any cleaning, waxing, manicure, detoxification, aroma therapy, or the like? 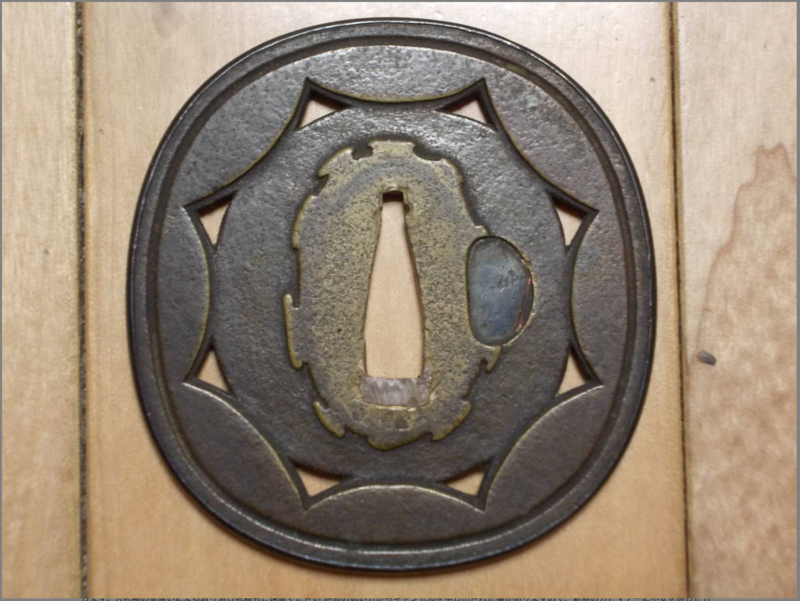 And btw, while an iron tsuba might benefit from the application of wax in certain instances, I don't advise using it on soft metals. And it also doesn't matter if you use a brush made from the hair of a virgin cut during a full moon. Case in point: in 2006 I sold a papered shinchū Nara tsuba, and saw it again last year. The new owner felt the need to “clean” it. Judge for yourself, the one that left my hands to the left, the “improved” one to the right. 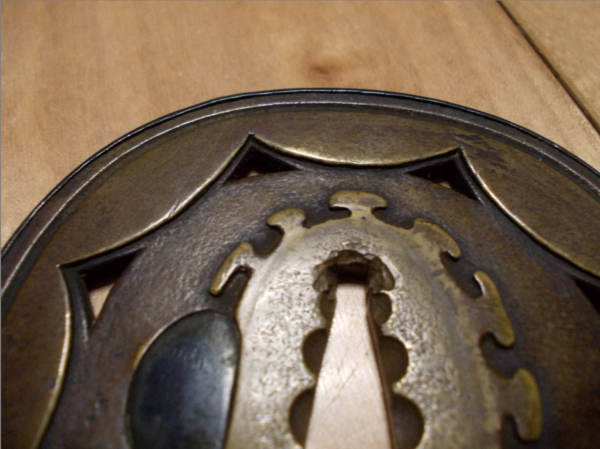 About cleaning i have come to the conclusion imo that: 1.On soft metal, cleaning and rust remove is a no go, not worth it,brass, copper etc are very delicate, and patina is very hard to achieve, also especially if its ko kinko not touching under any circunstance. Do you use choji oil Jose? I use wax on both soft metal and iron. Once waxed, and stored under the right conditions, it does not need cleaning or reapplication for YEARS. Oil is something I avoid as it attracts dirt, dust, grit, etc......NEVER oil soft metal. BTW, brush material ABSOLUTELY does matter. 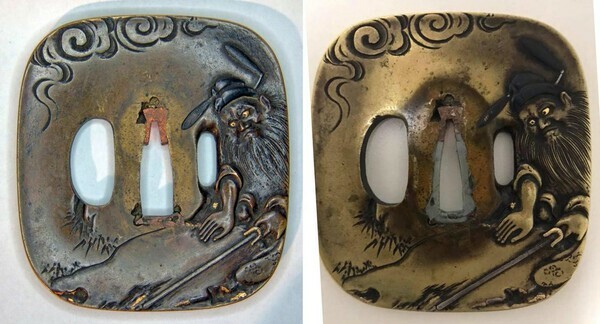 I find it amazing that many people who are so carefull about using only materials that will not damage their blades, in turn show little concern when it comes to handling soft metal tosogu. Soft metal is very easily damaged if handled casually. 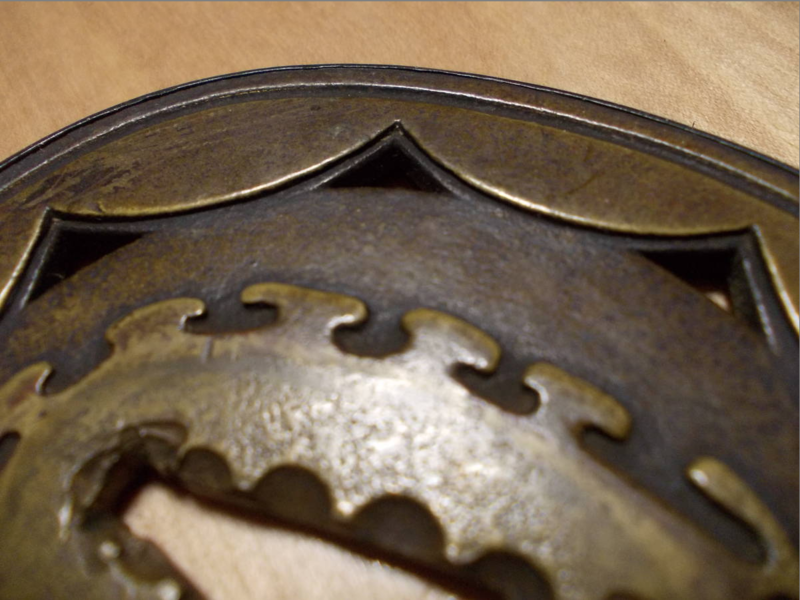 p.s.-personally, I avoid heavily rusted pieces, with rare exceptions, for aesthetic reasons. Also, a gentle wash and CLEANING are very different things! People on the NMB immediately get their pants around their ankles when it comes to amateur polishing of swords, but it seems to be open season on fittings. 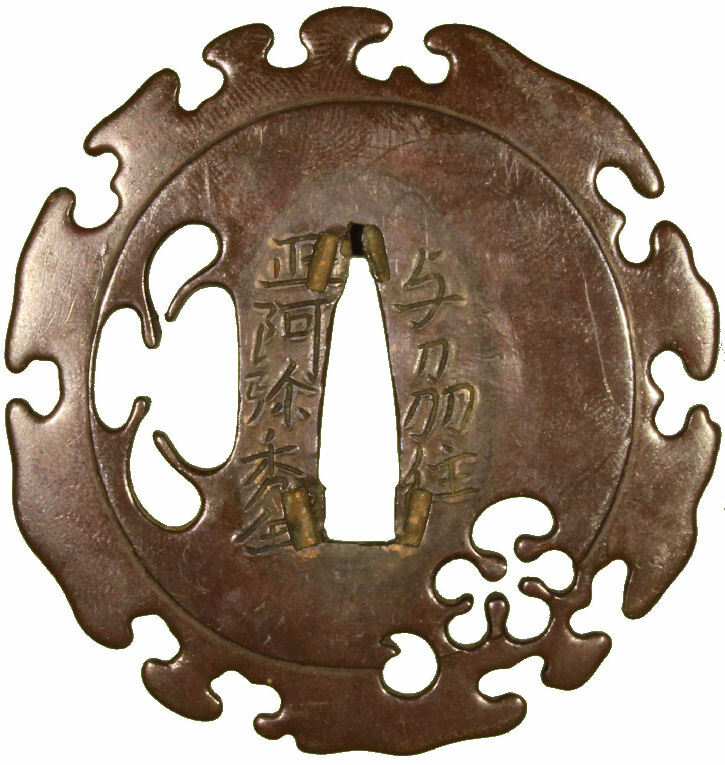 Why this deeply rooted urge to mess with tsuba when there's no rational reason? 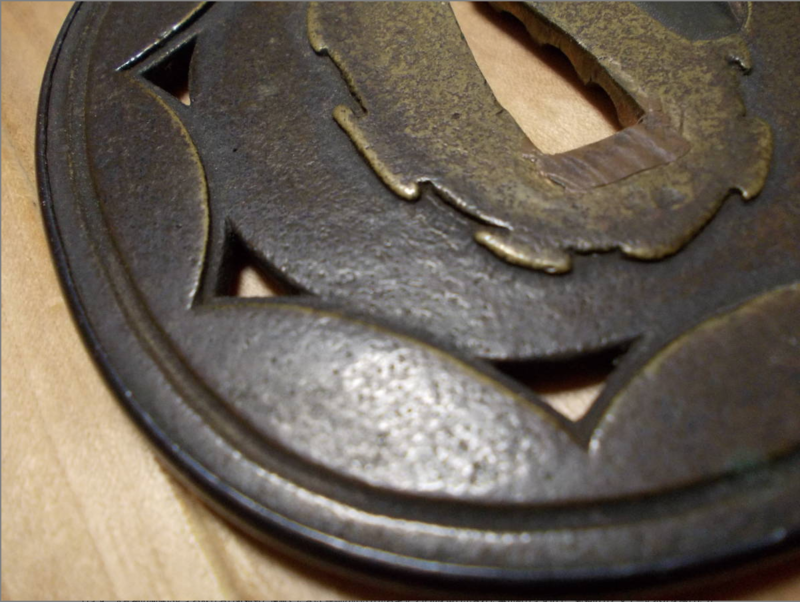 What does wax or oil on a soft metal tsuba do that makes it more desirable than without? And what are the consequences of it a few decades down the road?